Helping you solve issues which have arisen as a consequence of the breakdown of your marriage or domestic relationship. Joliman lawyers have had many years experience in representing clients in criminal law matters. Joliman lawyers is now proud to now be offering Mediation services to new and existing clients. The dissolution of a relationship is one of the most difficult things to navigate when there is more than just two people involved. After the break-up of a marriage or long-term relationship, legal proceedings may be required in order to settle property, organise parenting arrangements and even to officially end a relationship in the eyes of the law. Family Law is a specific area of Law that covers individuals, children and property within any type of family relationship. It also guides when those relationships evolve, change or end, including defacto. In 2002 Joliman Lawyers decided to go after Family Law and service the families, farmers and business people in the local and surrounding areas. Since, these areas have grown to include Echuca/Moama, Koondrook/Barham, Cohuna, Kerang, Kyabram, Swan Hill, Rochester and Bendigo. As a result of their successful “down to earth” practice, Joliman Lawyers have also become one of Country Victoria’s most awarded Firm of lawyers…recognised four times in the past four years for their unique form of “caring professionalism”. Joliman Lawyers services include conveyancing, criminal law, wills preparation and estates in order to support the needs of our growing client base. With the services provided, Joliman Lawyers now offer a comprehensive set of skills that can assist you in a wide range of legal matters. 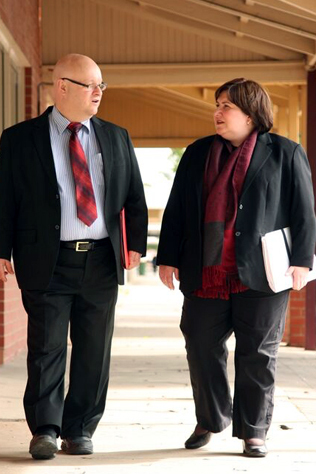 If you have a legal concern and require the advice of criminal lawyers in Echuca, Cohuna or Kerang, call us today. We are here to listen and help. Your first appointment is complimentary. Let Joliman Lawyers assist you navigate through the legal mine field. You can call us on (03) 5482 4003 or email echuca@jolimanlawyers.com.au to receive a call from one of our professional team. Follow this link to receive your free copy of "Avoid the 10 Common Mistakes of Wills" and fill out the form on the next page.